Made by Hearts Delight, this elegant Victorian style christening gown is new but has the appearance of a gown from 100 years ago. Made of the softest cotton batiste, it features a delicately embroidered yoke trimmed with cotton lace. 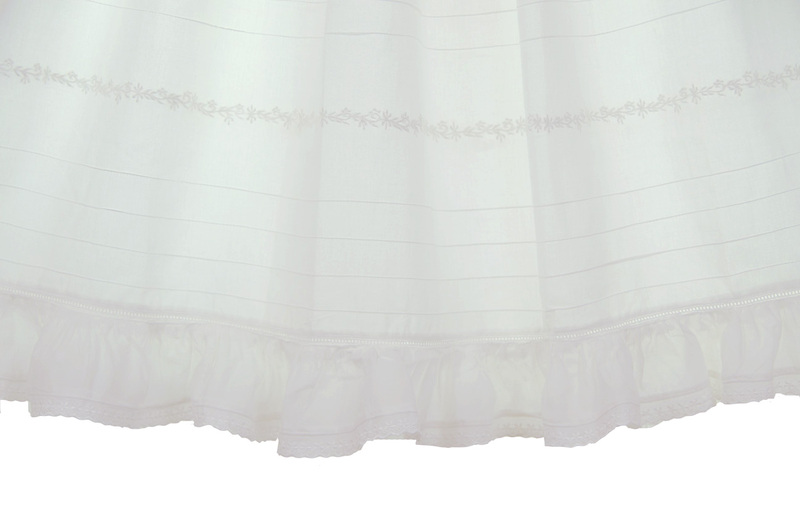 The long batiste sleeves are trimmed with cotton lace and have ribbon insertion to allow for size adjustment as was done in times past. 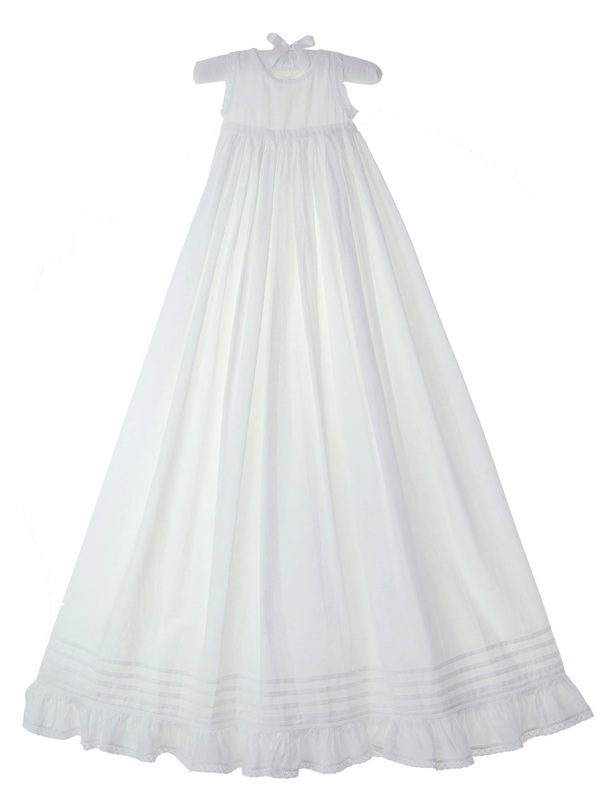 The long skirt is embellished by rows of tiny pintucking, hand embroidery, and cotton lace finished by a wide eyelet ruffle. The dress buttons in the back. 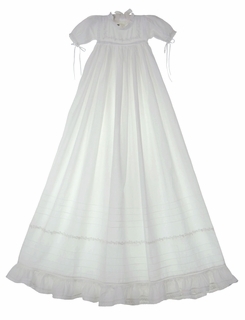 The matching long batiste slip is equally beautiful, with rows of pintucks above the lace trimmed ruffled hem. A lovely matching bonnet is included. 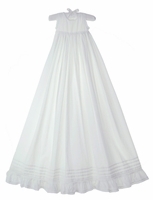 What a very special gown for your baby's christening, baptism, or dedication! 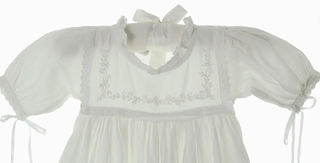 Size newborn to 3 months shoulder width=7½"
Size 3 to 6 months shoulder width=9"